Now Available: Multi-Class Discount Passes! Purchase yours at any session. Save money when you purchase multiple sessions in advance! Use sessions as they fit your schedule – just bring your pass to class to redeem a pre-paid session. Life is busy. You do so much for everyone else. You deserve a little Self-care Sunday...just for you! Join yoga instructor Christine White for an hour of YOU time. 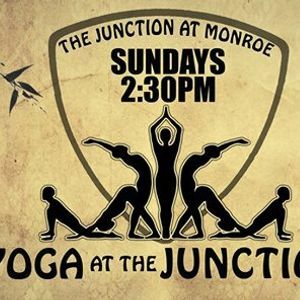 Suitable for all levels and abilities -- from brand-newbies to veteran yogis and everyone in between -- this class will heal your mind, body and spirit with a focus on relaxation, flexibility, balance and strength. Limited space available. Guarantee your spot with advance registration online, or cash only at the door as space allows. Come solo or bring a friend for extra fun. And the fun doesn't end when you roll up your yoga mat. Class is one hour, then hang out for some social healing too! 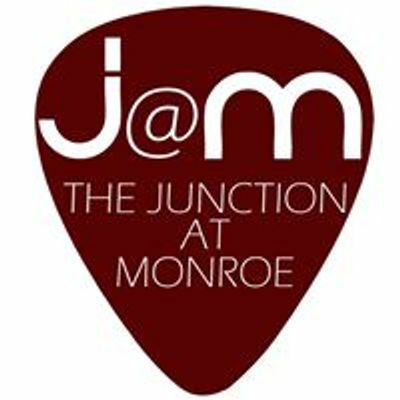 The Junction will have special yoga-inspired botanical cocktails and yummy snacks available for purchase (in addition to full bar and non-alcoholic offerings). Please bring a yoga mat and wear comfortable activewear. 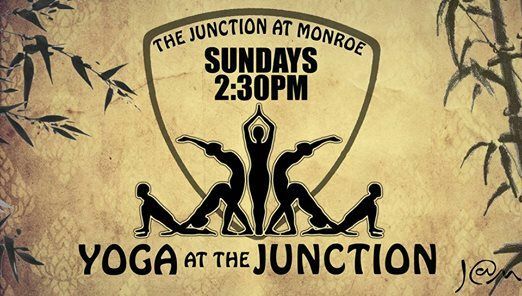 Register in advance to reserve your spot at: https://yoga-at-the-junction.eventbrite.com/.